What’s better than a new enamel pin from Miss Kika? Two super cute pins available in one set! These matching Cotton Candy pins recently popped up in Kika’s shop and we can’t be any more excited about them. Yummy looking cotton candy with frosting dripping off them? Yes please! Wear these pins together or give one away, but don’t be surprised if you decide to keep them both! 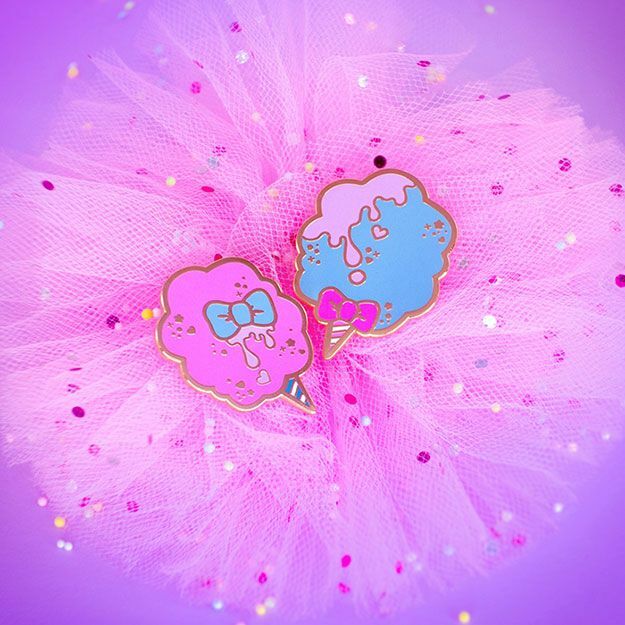 Get your Cotton Candy pin set now at Miss Kika Shop for $18 USD each while supplies last!